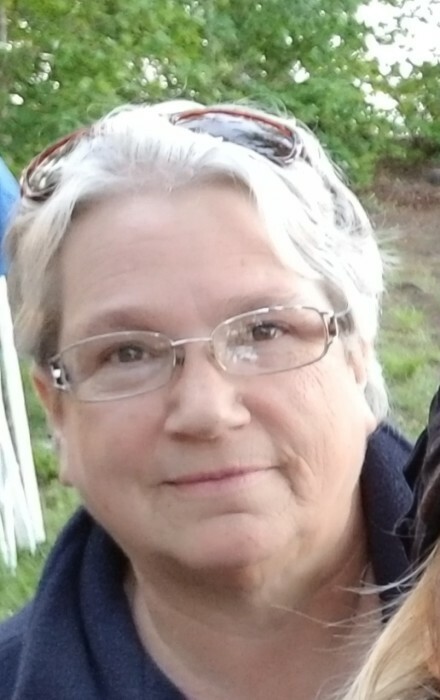 Obituary for Colleen Precourt | TRAUB FUNERAL HOME INC.
Colleen Precourt, 54, of Richland, passed away unexpectedly at home on Monday, with her loving husband by her side. A wife, sister, step mother and aunt, Colleen was known by all as "Nana." She was kind and kind hearted to everyone, truly tragic that she was called upon so soon. Colleen touched the lives of so many people in one way or another. She was a 2nd mother to many of her nieces and nephews. They all wanted to go to "Nana's!" Nobody could blame them, Nana's was FUN! She will be remembered as Chris's Tuesday riding partner, providing there was snow. "Hey, did you find my crutch yet?" May her soul rise swiftly to join her predeceased parents Paul J. and Ada Corcoran. Colleen is survived by her loving husband Paul W. Precourt III; step daughters Nicole and Amanda Precourt; father and mother-in-law Paul and Joann Precourt; grandchildren Issac, Patrick, Asiahnna, Zyaire; brother-in-law Steven E (Laurie) Precourt; sisters-in-law Suzanne (Rodney) Calkins; JoAnne Precourt; Diane (Daniel) Sposato; great niece who was in her care and the apple of her eye, Melani Rose Horning Cole; siblings Rosemarie (Mark) Mitchell, Carolyn (Omar) Davis, and Christine (Alan) Willcox; nieces Leslie Wood and Autumn Willcox; nephews Robert (Karie) Gamble and Paul J.C. (Breanna) Willcox; beloved cousins of Tennessee and Syracuse; and aunt Eileen (Jack) Vallerio. Calling Hours will be held on Saturday, 3:00 pm to 5:00 pm, at Traub Funeral Home, 684 N. Main St, Central Square with a Memorial Service to follow at 5:00 pm.